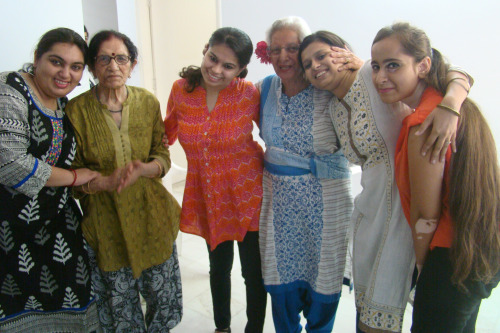 This Saturday was most special, we celebrated the day as ‘Dementia Day’ with the family members and their patients. Our Care Specialist warmly welcomed all the participants with flowers. As an ice breaking activity, the members participated in passing the parcel game and everyone was entertained with melodious songs sung by one and all. It was heartening to see all go down the memory lane and sing some of the hit old/folk songs of yester years. With this lovely beginning, the group then split for different events for the families and our special guests (patients). 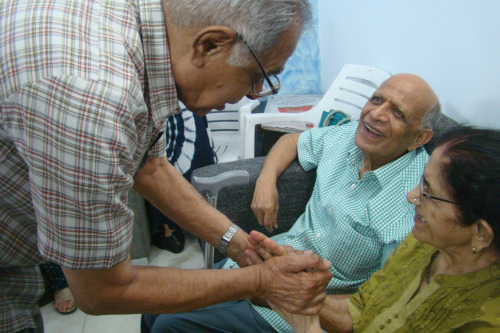 Our Care Specialists conducted various activities with the elderly while the family members listened to a talk on Dementia by Dr. Vinny Sood, Neurologist, Max Hospital. 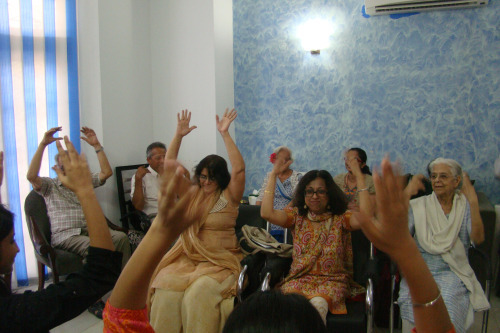 The Centre came alive with our guests engaging themselves in interesting and mind stimulating activities. All the activities were well thought of keeping in mind the individual interest of each member. 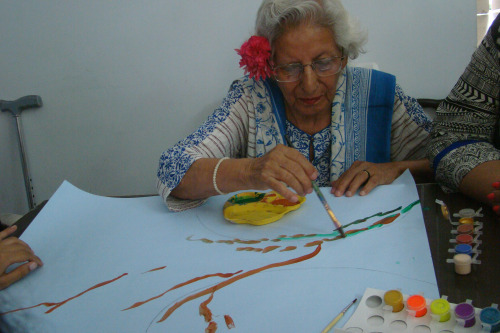 The activities included thumb painting; guess the places, singing, dancing and unlimited fun and happiness sharing. Our guests were happy to meet each other and see the different colors of life. 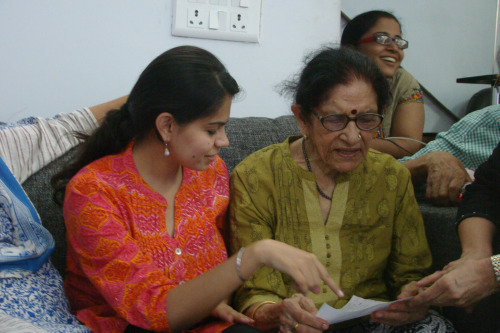 Normally, the Care Specialists make home visits and do activities with the elderly at their homes. 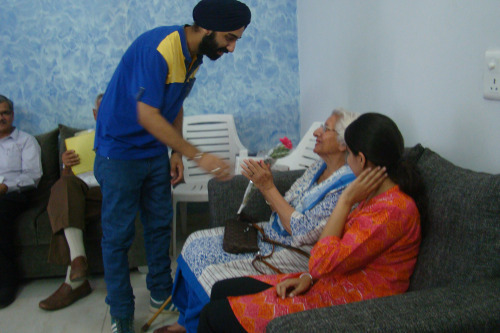 Inviting them to the Centre was helpful in breaking the monotony and it provided a good platform for the elderly to interact with different people and also get a chance to showcase their talents. The day was filled with energy and hope for a better world for our guests. It was a perfect example of how with collective effort we can build a happy world for them. 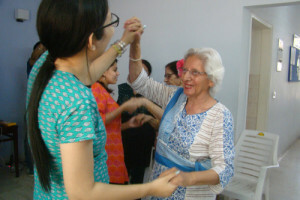 The day ended with a dance session facilitated by our team on the famous song ‘Don’t worry be happy…’ It was a treat to the eyes to see everyone smiling, singing and dancing. The positivity in the environment relaxed everyone and relieved the stress of the families. Samvedna will hold a similar Dementia day next month for the families and their loved ones.